Energy Observer is equipped with OceanWings wingsails, an alternative propulsion system. 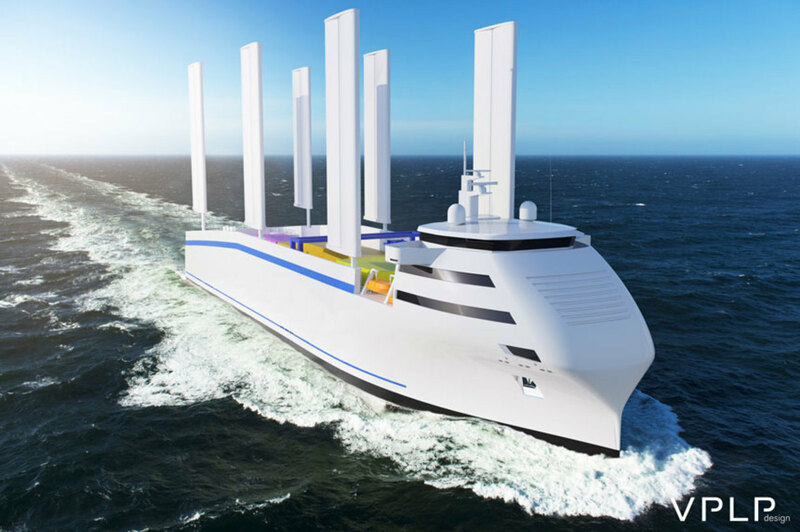 Energy Observer, a hydrogen-powered ship designed to achieve energy self-sufficiency with zero greenhouse emissions, is equipped with OceanWings, an alternative propulsion system that consists of composite 39.4-foot wingsails. Designed by VPLP Design, OceanWings are jointly developed and built in French equipment manufacturer CNIM’s facilities in La Seyne-sur-Mer. The use of OceanWings aboard Energy Observer is a step toward reducing the environmental impact of global shipping. OceanWings are based on the rigid wingsails used on America’s Cup raceboats and provide reported energy savings of 18 to 42 percent, depending on the vessel. “We offer an industrial product with high added value that meets not only the performance levels expected by our customers, but also the economic constraints imposed by the market,” Philippe Lazare, chief executive of CNIM’s Industrial Systems Division, said in a statement. “OceanWing wingsails will undoubtedly find their place in fields as diverse as recreational sailing, yachting, maritime transport — bulk carriers, chemical tankers, oil tankers, etc. — and offshore fishing,” said Marc Van Peteghem, joint founder of VPLP Design.